A fundraising values flat-leasing startup Danke at $2 bln. Like rivals, it raises cash for expansion by taking out loans in tenants’ names, rather than charge monthly rents. Owners, renters and banks are exposed if Danke flops. The practice is likely to overstay its welcome. 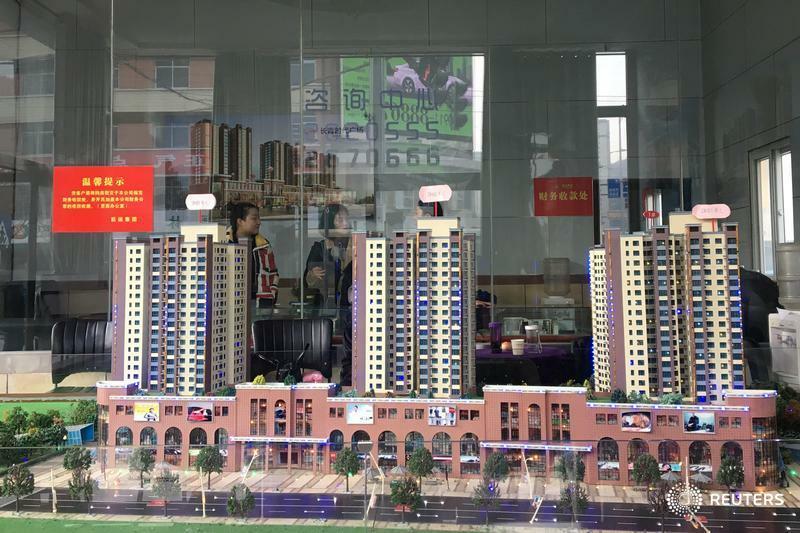 A model showing a residential and commercial compound is seen at a real estate showroom in Yanan, Shaanxi province, China January 3, 2019. Picture taken January 3, 2019. Chinese rental-apartment operator Danke Apartments has raised $500 million in a funding round led by Tiger Global Management and Ant Financial, the company said on March 1. The fundraising values the four-year old company at $2 billion. Danke, which means "eggshell", is known for its affordable dorm-like units for mostly young Chinese workers. The company is in ten major cities, including Beijing, Shanghai and Guangzhou. The company said it will use the new funds to invest in artificial intelligence and big data processing, improving apartments and other things. In 2017, President Xi Jinping vowed to increase the supply of rental housing. Currently, the value of China's rental market is over 1 trillion yuan ($149 billion), with over 200 million people renting homes, according to estimates from real estate services firm Jones Lang LaSalle.